We strive to differentiate our company and products through quality, flexibility and service. Tri-Arrows is a service oriented company focused on maximizing value to our customers, our shareholders, and our employees. Our goal is to engage each and every employee and ensure they understand how the decisions they make, and the work they complete, adds value to our overall business. We pride ourselves on providing best in class customer service and quality, unparalleled productivity in aluminum rolling, and sustainability through our recycling operations. Aluminum is infinitely recyclable. Tri-Arrows has invested heavily in our capabilities to recycle scrap aluminum back into sheet ready to be consumed again by our customers. This greatly reduces our carbon footprint. After melting, our aluminum is cast into the largest ingots in North America and prepared for rolling into can or automotive sheet. Aluminum ingot is rolled to precise widths, gauges, and mechanical properties to ensure our customers are able to fabricate their finished product in the most efficient and effective manner. From heat treatments to coatings, Tri-Arrows is able to apply finishing processes to our coil to provide our customers exactly what they need. Aluminum is infinitely recyclable. Tri-Arrows has invested over $150 million in recycling capabilities in recent years to ensure that the aluminum we provide our customers fully leverages this strength. In addition to being infinitely recyclable, aluminum’s attributes are also inherently sustainable once made into products for end consumers. When made into cans, it has a longer shelf life than competing packages, which reduces spoilage. It also has lower freight and refrigeration costs which is driven by stack-ability of the package. Aluminum also has both a higher recycling rate and higher level of recycled content. When used in automobiles, it is one of the largest levers car manufacturers can pull to lightweight their vehicles, driving improved mileage performance. 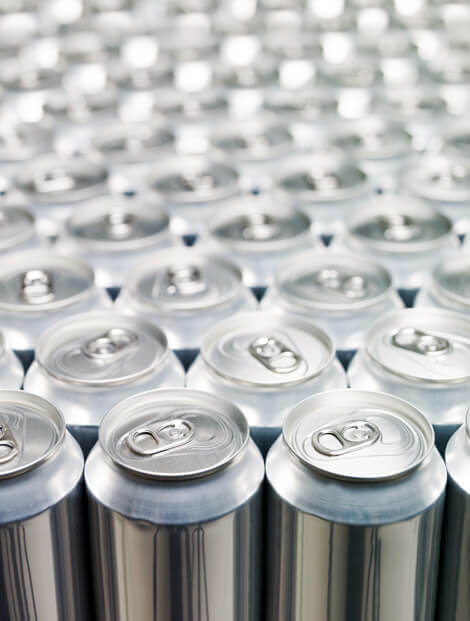 Recyclability combined with the sustainable attributes mentioned above make aluminum a great choice for our customers and provide them with the most sustainable material possible. Tri-Arrows has been a major supplier of aluminum can sheet for many years and is committed to this package for years to come. Since 2015 Tri-Arrows has been supplying aluminum cold coil for automotive applications which are externally heat treated and finished. With capacity to recycle over 750 million pounds of scrap per year – both industrial and post consumer – Tri-Arrows is a leader in recycling.